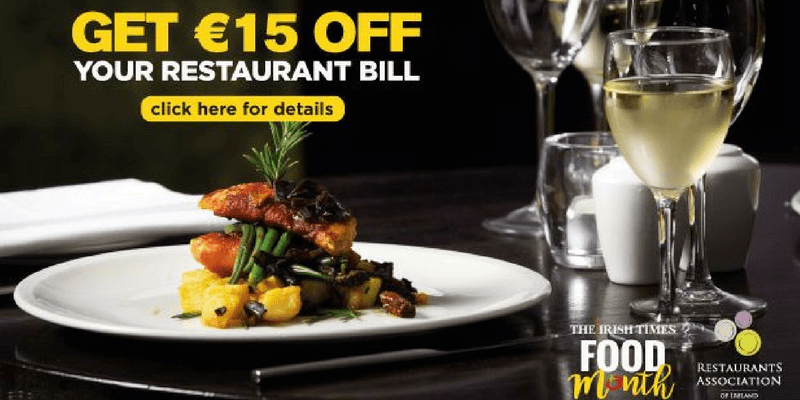 To celebrate Food Month, The Irish Times and The Restaurant Association of Ireland have teamed up to give you €15 off your next restaurant meal. 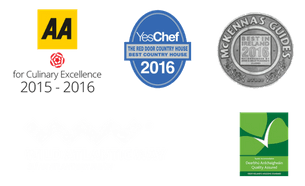 The Red Door Country House is the only participating Donegal restaurant. 2nd, 4th, 6th, 8th, 11th, 13th, 16th, 18th, 21st, 22nd, 25th, 28th, 29th and 30th November. • Valid for all food and drink bills except Afternoon Tea/Gentleman’s Tea food and drink bills. • Valid for Sunday Lunch, Early Bird, A la Carte and Set menu. • Original voucher must be presented – no photocopies accepted.